Customer Profiling: How do you work out who your customers are? Are the important defining characteristics geography, lifestyle, demographics–or what? Take the time to answer your own questions. They may seem superfluous, but you will find that going through them in an orderly fashion will surprise and help you. Even better would be to do the customer profiling exercise with colleagues or friends. Use a flip chart, a big sheet of paper or a table or mind map on a computer. Keep it by you so that you can revise it as your business progresses. Too often we make assumptions about who are customers are. We need to test out those assumptions. Assumptions can be very dangerous. Thomas Watson, then chairman of IBM, said in 1943, “I think there is a world market for maybe five computers.” It seems almost unbelievable now, but then his statement went unchallenged. When I worked in national economic development in the UK many years ago, we produced a great deal of research and recommendations, both at the national and sectoral levels. We had thought that all we needed to do was to publish the material and action by companies would follow. How wrong could we have been? 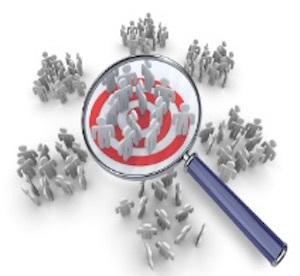 In customer profiling, we needed to identify the ‘movers and shakers’ among employers’ federations, trade unions, trade associations and other places where employers made connections. We needed to know where the key decision makers were and what influenced them in the strategic decision making process. In short we needed to profile our ‘customers’. 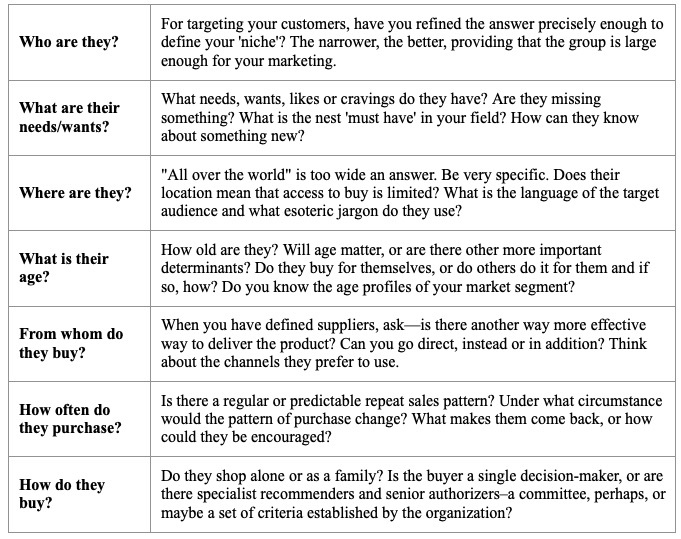 From the customer profiling grid (below), you will see a line of questioning about your prospective customers really are. You may even question your own assumptions about who they are. The idea of the customer profiling grid is to have an orderly process to ask the right questions. Your list of questions may be slightly different, but the idea of the customer profiling grid remains valid. When you have worked through the customer profiling grid, adapting it to suit your particular circumstances, try hard to put yourself in their shoes and see how your answers might change. Better still, go out amongst those who you have already targeted and get their ‘take’ on the questions. You may be surprised by their answers. For a bit of inspiration, take a look at this Amex post on customer profiling. Key Performance Indicators: Metrics to Connect Strategy and Outcomes.